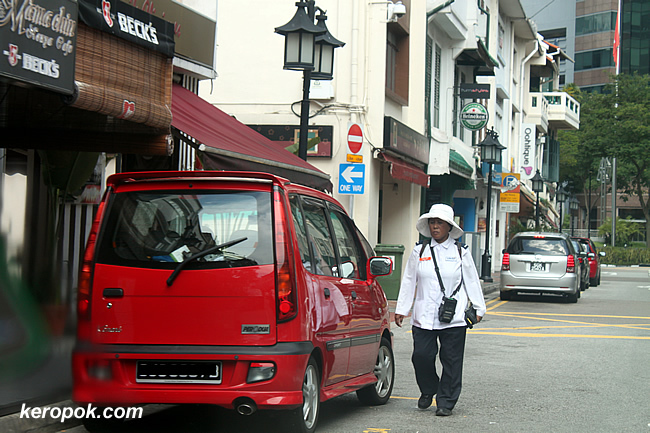 'Boring' Singapore City Photo: the singapore parking aunty. This is what the locals call, the "Parking Aunty". No, they are not valet who park the cars for you. Labels: Parking, Seen on the streets. It makes them sound nice and friendly! here they are traffic Wardens and issue tickets at the drop of a hat. Not very popular at all! Ha, I have been wanting to take a picture of a "Singapore parking Auntie" for a long time for my blog but have been scared to snap a picture. I now have this irrational fear of elderly women in white especially if they are Malay. i wonder how much fines she issues in a day!